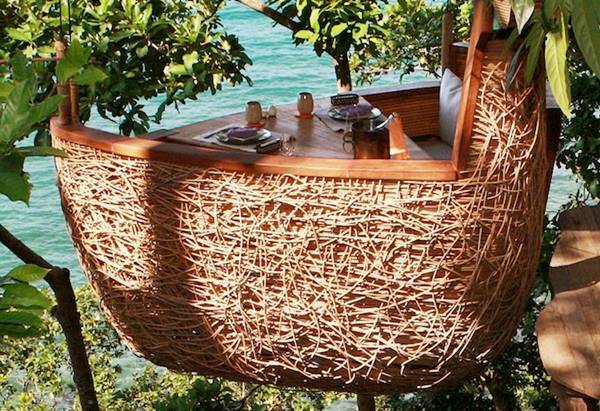 If picnicking under a tree seems a little been there, done that to you, why not give picnicking atop a tree a try? 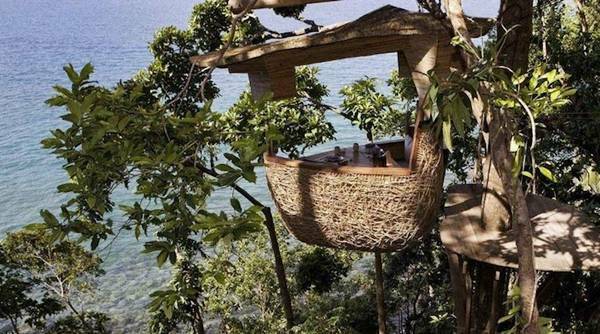 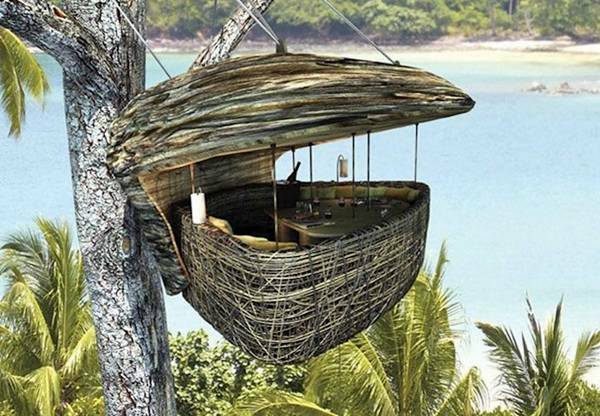 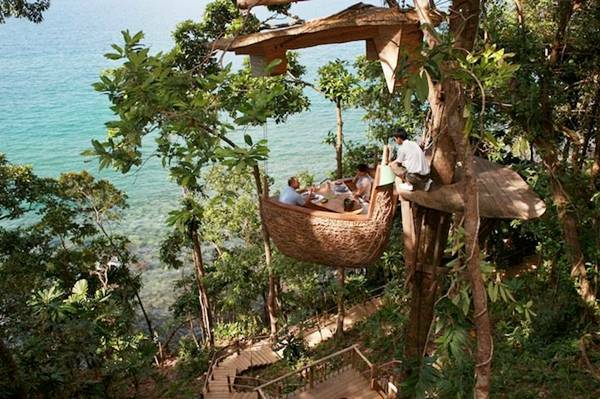 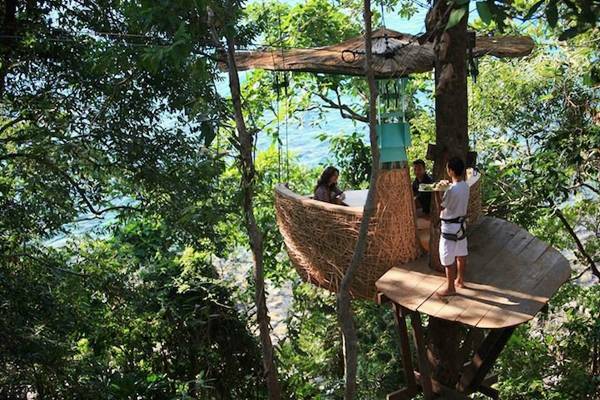 At the Soneva Kiri Eco Resort in Thailand, guests have the option to dine in a lofty woven Tree Pod perched 16 feet off the ground. 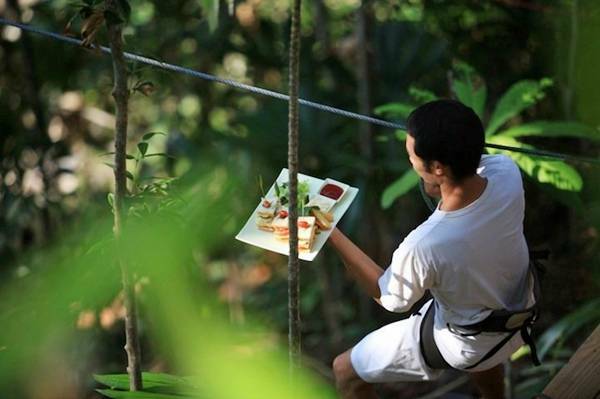 And as if that wasn't already cool enough, all of the food and beverages arrive courtesy of a flying waiter via a zip line! 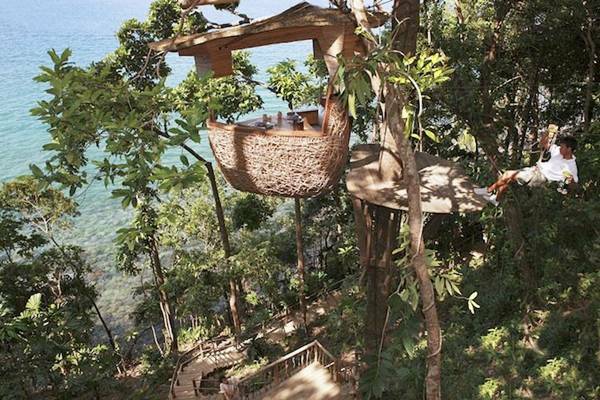 Click through the gallery to see photos of all of the treetop dining options and the other luxurious green amenities at the Soneva Kiri.